Bandit Kings of Ancient China Nintendo NES Game Cartridge Nice! 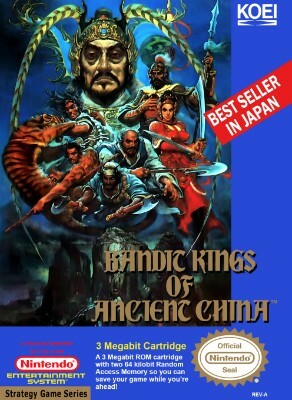 Bandit Kings of Ancient China (Nintendo NES) Cart Only FAST FREE SHIPPING!!! BANDIT KINGS OF ANCIENT CHINA (Nintendo,NES) Authentic!! Rare!! Bandit Kings of Ancient China (NES, 1991) EX Shape Authentic Cartridge! RARE!